Here’s a little release on a real game-changer client. Her story is fascinating! Mobility Chic!, a fashionable innovator in accessory and mobility products for elderly, disabled, wounded veterans and recovering surgery patients, launched today at Medtrade tradeshow in Atlanta, Georgia. The Mobility Chic! 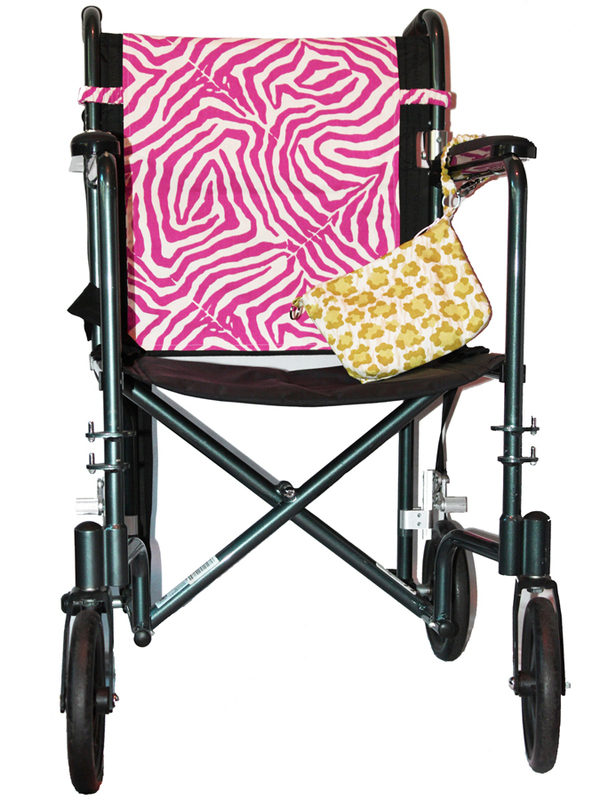 product line includes gorgeous and easy to use Wheelchair Wraps, Lumbar Pillows, Dignity Bags, Caregiver Totes, Shrug blankets, multi-function Purses on the Go, SoftBelt seatbelt cushions, and Lanyards to keep keys and small items handy. While fashion-forward and fun, the colors and design of each product has been specifically created to brighten every owner’s mood and promote well-being. Ginger’s experience has prepared her for the role of innovator. “I have spent hundreds of hours with patients, families, and caregivers. I realized there was a huge gap in the market for what mobility challenged people need day-to-day, to make life easier, without sacrificing style. I created Mobility Chic! to provide them with beautiful accessories that fulfill specific functions. Mobility Chic! is changing the face of mobility aids by providing elderly, disabled and mobility-challenged people with products designed with form and function, passion and purpose, color and creativity. We select specific colors and designs that have been researched and tested to ensure they have the capacity to evoke positive feelings. Mobility Chic goes beyond the sale of products to truly touch people’s lives. www.MobilityChic.com.